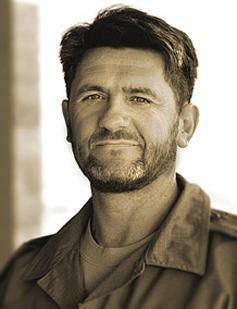 Native russian Systema master Vladimir Vasiliev is the director and chief instructor of Systema Headquarters, Toronto, Canada, which was founded in 1993. Vladimir Vasiliev is the top student of the founder and master Systema instructor Mikhail Ryabko. Vladimir received intense military martial art training from the highest russian Special Operation Unit (Spetsnaz) instructors. He has been decorated with a number of russian governmental awards and medals, which include “The Order of Duty and Honour” and the “Order of Loyalty”. 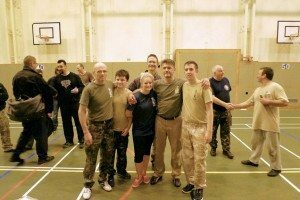 Being a teacher of russian Systema, which is increasingly becoming one of the world’s most popular military martial arts, has brought him into contact with many different people of many different cultures from all over the globe. To date Systema master Vladimir Vasiliev has over 200 schools of Systema and over 500 personally trained and certified Systema instructors in 30 countries worldwide. Throughout the year Vladimir teaches numerous seminars all over the world as well as hosting week long Systema military martial art camps in Canada, and holding regular classes at Russian Martial Arts Headquarters in Toronto. Vladimir Vasiliev has a goal to gain a deeper understanding of the concepts of Systema, Systema being a living, breathing entity. The development process for a true Systema master is of a never ending story. The one thing Vladimir would say to all practitioners who train in this fascinating military martial art is “you must have is patience”. Systema is an extensive development that gives new challenges and new rewards as you walk the path of Systema mastery, plus new discoveries, and the joy of following the correct trail is constantly by your side. Vladimir Vasiliev not only believes that Systema can help the health of a person, but also that of an entire country. Systema pursues a state of calm relaxation and reduces stress which in today’s high pressure world can only serve to aid in making the world a better place for us all.